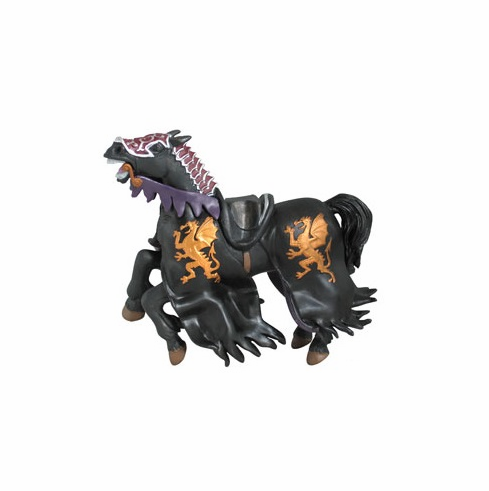 This is the Papo Prince of Darkness Horse in it's original colors - mostly Blackish with purple accents and gold dragons. Measures approximately 5.5 inches. Part of the Fantasy World Series by Papo. The art work and detail are beautiful on this hand painted figure. Most of the Papo standing figures are designed to ride any Papo horse such as this one.